The famous ‘God letter’ written by hand by Albert Einstein the year before he died sold for three times its expected amount on Tuesday in New York City. The ‘God letter,’ which only became known as such in 2008, went for $2,892,500 including the buyer’s premium, after being expected to sell for between $1-$1.5 million at Christie’s in Manhattan. 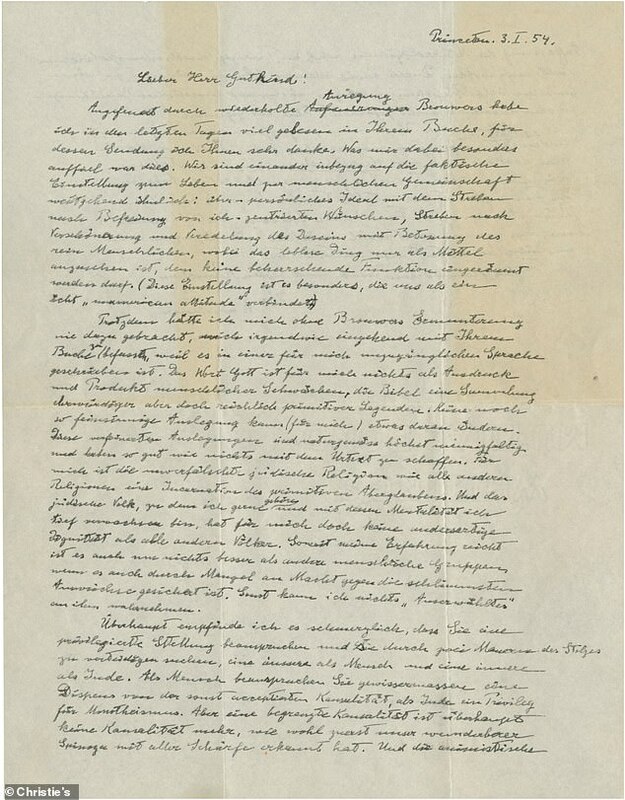 The letter was written in German by the famed scientist, in the year leading up to his death on April 18, 1955. 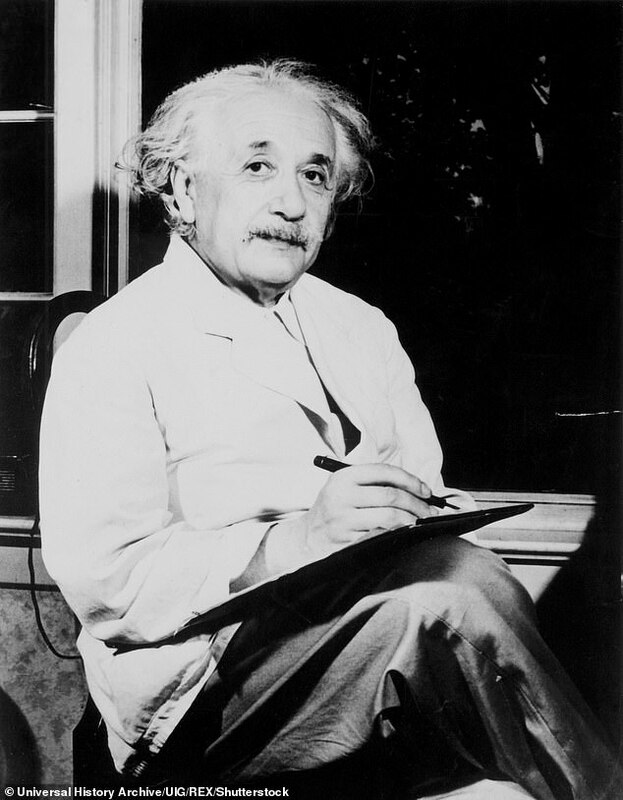 Though Einstein was born into a Jewish family in Germany, he notedly lost his faith at a young age. The passage quoted above is the only time in the page-and-a-half document that Einstein uses the word, ‘God,’ in his parsing of religion in general, his Jewish heritage and his personal views on the meaning of life. While the scientist continued to identify as Jewish throughout his life, he was critical of the faith, and the ‘God letter’ gave no exception to that. ‘For me the unadulterated Jewish religion is, like all other religions, an incarnation of primitive superstition,’ he wrote. Gutkind’s book, however, had made the case that ‘the Jewish soul is perfect intellectually as well as spiritually,’ according to a review written in August of 1952 by Commentary Magazine, which was later published online. The letter first became known to the public in 2008, according to the New York Times, when it was sold at auction in London for $404,000 after having been in the hands of Gutkind’s heirs, following his death in 1965. It was listed for sale on eBay in 2012 for $3 million, though the results of that sale aren’t known. Christie’s has said the person who bought the letter in London in 2008 is the person who sold it on Tuesday.